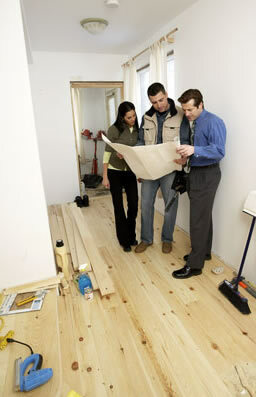 Remodeling a home can seem like an incredibly stressful process for most people. If you've been through a remodel before, chances are you know that isn't always a walk in the park for the people living in the house. That knowledge is why many people are tentative when it's time to remodel their house. Remodeling isn't something you can put off forever though, especially if you have a growing family or your baseline needs have changed. Keeping your resale value high is also important, especially if you're thinking about selling in the next few years. Use these tips to remodel your home so your resale value is among the highest in the neighborhood when its time to move. When people visit a home for the first time they immediately check out the kitchen. That's definitely true of anybody considering buying a house for themselves and their family. That's why your kitchen should be a focus of any remodeling project that you do. Start by making your kitchen more functional with items like a center island or more counter space. Updated cabinets and drawers, especially with built-in shelving and dividers can also be very attractive to large families and people who love to cook. If you're considering selling in the near future, you should also do things like painting your kitchen in neutral colors that will appeal to a broad audience. You don't want to paint your kitchen yellow or bright green – even if it's your favorite color – if you want to be selling your home soon. When it comes to decorating, there are a lot of websites that have a free join us period so you can get ideas. The front of your home is the first thing people will see when they come to look at it, so it stands to reason that it should be attractive. Making the front of your house attractive all begins with the big things like your lawn, paint job whether or not you have cars parked all over the driveway. Once you take care of the basics like a good paint job, spend some time taking care of the little touches like your front door and the hardware on it. You'll also want to make sure you have plenty of foliage, whether that's seasonal plants or succulents that don't require a whole lot of regular care.